Through the strategic partnership with the USI Università della Svizzera italiana, the Global Alliance for Public Relations and Communication Management each year provides a limited number of scholarships to the EMScom Executive Master of Science in Communications Management’s applicants living and working outside of Switzerland. With this initiative, the Global Alliance intends to strengthen the collaboration among international public relations and communication professionals, constantly advancing day-to-day practice and developing academic networks. The scholarships are part of the Global Alliance’s commitment to educational programs which support its institutional goals. “As communication becomes an increasingly global profession, the Global Alliance aims to support promising communicators who seek both international education and a global network” said Anne Gregory, Chair of the Global Alliance. “Serving the strategic goals of the Global Alliance, the scholarship enables a limited number of participants to benefit from USI Università della Svizzera italiana’s renowned international Executive Master of Science in Communications Management and its multinational faculty. We hope these scholars will help us advance the communications profession. EMScom is a part-time program designed for experienced communication professionals and takes place in Switzerland at USI Università della Svizzera italiana. The program cooperates with the UCLA Anderson School of Management and is held in conjunction with SMU Singapore Management University giving participants a unique opportunity to study side by side with Asian colleagues. 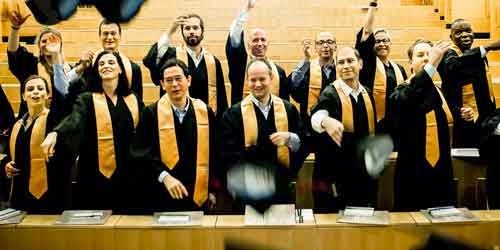 EMScom’s professors are recognized experts at leading universities around the world. Sessions take place every other month and are easily combined with the demands of a career. Demikianlah informasi mengenai Global Alliance for Public Relations and Communication Management Scholarships, Switzerland semoga berguna bagi anda.